Clara (Lucia Bosè) as she appears in her first film. 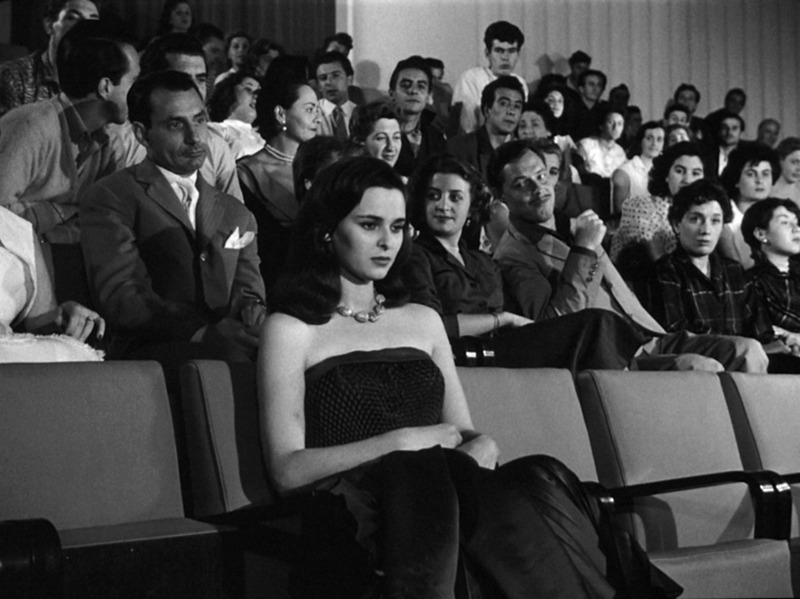 What then of La signora senza camelie?, one of three films that Antonioni directed or part-directed in 1953. Neo-realism was still a recognisable influence in Italy in the early 1950s and it certainly informs some of Enzo Serafin’s cinematography in the film. (Serafin worked continuously from 1942 and in 1954 shot Rossellini’s Viaggio in Italia.) The narrative is familiar. Clara (Lucia Bosè) is a shop girl from Milan, an outstanding beauty who has been snapped up by a pair of film producers. They have put her into a mundane exploitation film and when the narrative of La signora senza camelie begins she is waiting in the street outside a cinema where her debut is being previewed in a public screening. These opening shots seem to promise distinctive location shooting. What follows certainly has neo-realist moments, especially because of the cinematography, but it is primarily a melodrama and in generic terms, a film about the film ‘business’ rather than about filmmaking per se – though there are some direct comments about performance. There are ‘pre-echoes’ of certain well-known films. It’s difficult not to think of Godard’s 1963 Le mépris (1963) in which an American producer wants to put Brigitte Bardot into a ‘classical drama’. In La signora senza camelie, Clara marries one of her producers, Gianni (Andrea Checchi) who installs her in a beautifully furnished by soul-less apartment and then casts her in a version of Joan of Arc. She goes to the Venice Film Festival and is humiliated when the film fails. In the meantime she has linked up with another hopeless lover, a diplomat who is not prepared to risk being seen with her publicly. She would be better off with the experienced actor Lodi played by Frenchman Alain Cuny, who in one scene teaches her how to make love for the camera. The film’s title presumably refers to The Lady of the Camellias or simply ‘Camille‘, a novel and play by Alexandre Dumas, an opera, La traviata, by Verdi and then a film made famous by Greta Garbo. Poor Clara has none of the mystique of Camille (though possibly all of the beauty). La signora senza camelie is very much a film about mise en scène – the apartments, the beautiful clothes – and the cinematography. I’m sure there is music too – Clara sings in her début, but I didn’t really notice the music. 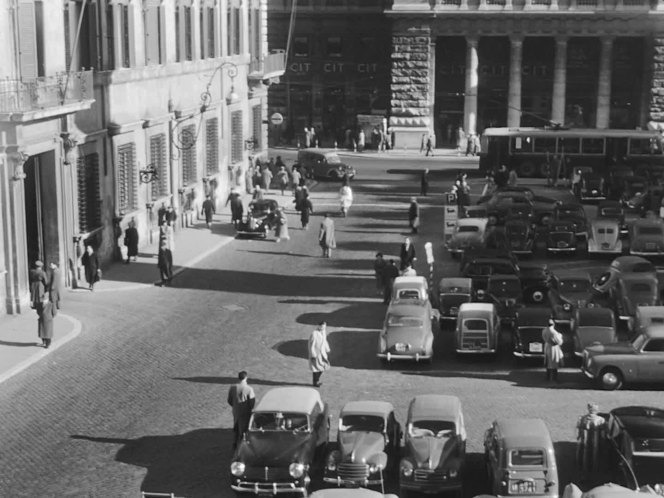 Cinecitta, the great studio complex in Rome plays a role in the closing stages of the narrative, as do the paparazzi of Rome, ever-present in the studio canteen. Earlier, the two producers (the other one is much more pragmatic) first find a beautiful house belonging to the aristocracy and then fail to make use of its possibilities. 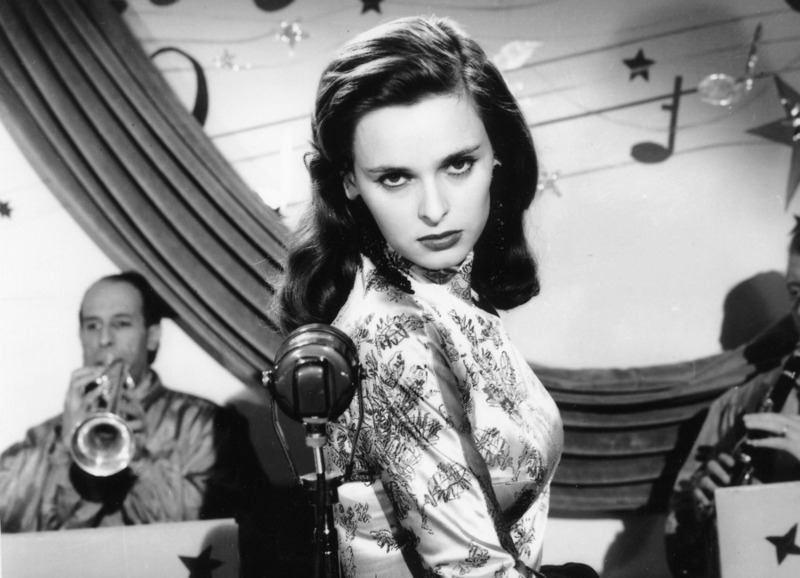 Overall, I found the film beautiful to watch (and that includes the luscious Lucia Bosè, who I realise was in the Spanish film The Death of a Cyclist a couple of years later – she married a Spanish bullfighter). The narrative is in one sense quite cynical and in another an exposé of the celebrity culture of Italian cinema and what eventually came to be known as ‘Hollywood on the Tiber’. Fellini’s films make much more sense when you’ve seen this film and perhaps Visconti’s Bellissima (1951) the more ‘neo-realist’ film that traces the story of a mother’s attempt to get her child into the film world. I feel I appreciate Antonioni’s skill more than I did before, but he still feels a bit like a ‘cold fish’. Like all Italian films of the period the dialogue is dubbed. I was surprised that this is very badly done at one point. I watched the film on MUBI. It is currently available on a Masters of Cinema dual format DVD/Blu-ray. In the clip below (no English subs) we see Clara and Lodi playing the love scene in her second film. The director is the man in charge, though both the producers are also on set. What are those extras, seen through the window, doing outside? Writer-director Jonas Carpignano (born & schooled in New York, lives in Italy) made a big impression with his first feature Mediterranea (Italy 2015) about the problems of two African migrants coming to Italy. His reward was to be selected as one of the first to benefit from Martin Scorsese’s fund for younger filmmakers and a subsequent offer of support from Sundance. His starting point was to go for the ‘authenticity’ of non-professionals and the whole Roma family appear to be playing themselves if the credits are to be taken at face value. Fairly early on it becomes clear that Pio is not quite like the older members of the family – though he may be a throwback to his grandfather, the man who established the community in the area and who is still around at the start of the narrative. After the screening and after researching Mediterranea (which only got a DVD release in the UK and which I haven’t seen), I realised that Pio and his African friend Ayiva (Koudous Seihon) feature in both films, though whether as the same characters I’m not sure. 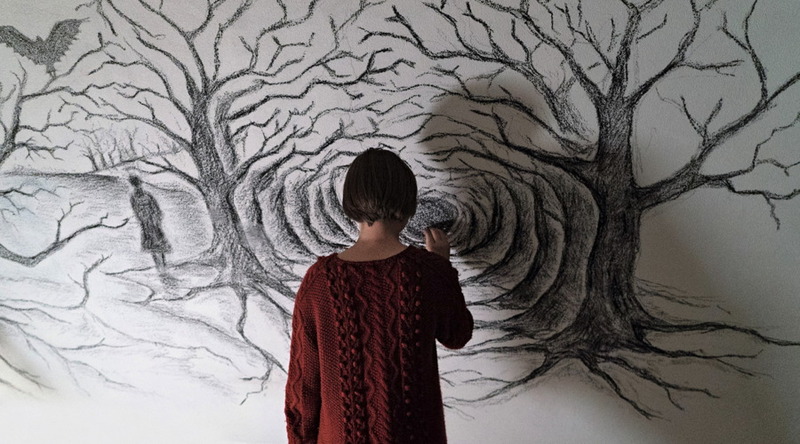 A Ciambra was screened in the Directors Fortnight at Cannes and was chosen as the Italian entrant for the Foreign Language Film Oscar so it has clearly made an impact. A good starting point might be to consider the extent to which the film refers back to neorealist studies of specific communities. Carpignano himself refers in this interview to his childhood memories of De Sica and Rossellini and the kids in their films. Jonathan Romney has referred to Visconti’s La terra trema (1948) because of that film’s similar focus on a tightly-knit community in Sicily. Many critics have tried to place the film in relation to that Italian tradition and more recent approaches. The Dardenne brothers post Rosetta (1999) is one touchstone but I’ve tended to see them as slightly removed from classic neorealism. Carpignano uses his non-professionals filmed on authentic locations and he inserts some traditional neorealist ‘lacks’ (problems) that need to be sorted. This mainly means finding sources of money from increasingly ambitious petty crimes to solve various problems faced by the extended family. Unfortunately, Pio’s education is in stealing credit cards and copper wire and trying to grow up to be like his brother. He has to get another young person to read the messages on his phone because he hasn’t had time to learn to read. There isn’t a great deal of plot but Pio’s ‘coming of age’ comes in a final sequence which I found very distressing. But as my viewing partner pointed out what we were offered is a reality in Italy. Jonas Carpignano has an Italian father and an African-American mother. This may be a reason why he began his feature film career with a story about African migrants and why in his second film he shows both the mixed race children in the Roma family and the African community in another small community that Pio is drawn towards by his friend Ayiva. The Africans are mainly from Nigeria and Ghana and they speak English as a common language, that is also used by Ayiva from Burkina Faso. 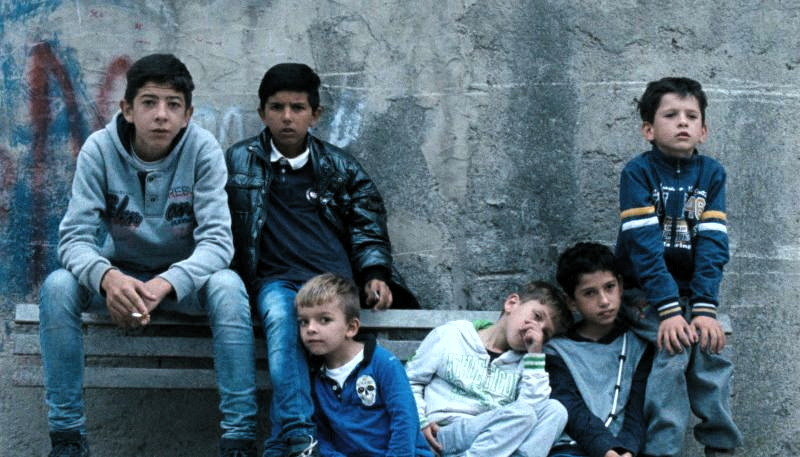 The reality is that in the pecking order in Calabria, the Roma come below the Italians and the Africans are below the Roma. 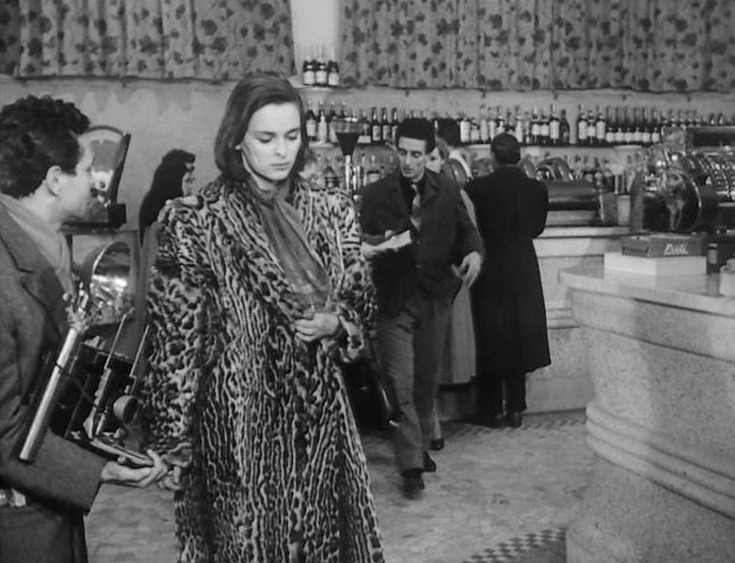 Neorealism can be developed as melodrama and this true to a certain extent in A Ciambra which has plenty of music on the soundtrack and a range of emotional relationships. But it also has its own element of ‘magic realism’ in the hallucinations that Pio experiences concerning his grandfather. I thought at first these came from heavy dope smoking – when Pio first sees the horse I thought of a similar moment in La haine (France 1995) when Vinz sees a cow in his housing estate. But then it occurred to me that the fantasies came because of the pressure suffered by Pio. There is a sense that Pio is his grandfather re-born and that he could rise above his misdeeds. I hope so. It’s very difficult not to warm to Pio as a character. He’s 14 years-old and frightened of travelling on a train – he’s not a gangster. Film producers have always copied ideas from producers in other countries. At one time, they made films in ‘multiple versions’ – especially in the 1930s when three different versions of the same script in different languages might be made almost simultaneously by different casts and crews. Much later, highly commercial production outfits in India and Hong Kong would simply copy hit Hollywood films without worrying too much about rights. Hollywood itself has frequently re-made both European and Asian films, often on the simple basis that American audiences won’t read subtitles. Sometimes this works commercially and the films themselves are not bad at all (e.g. the J-horror retreads such as The Ring 2002). Sometimes the remakes are complete disasters. Most of the time, American producers have been fairly open about their ‘borrowings’ but in recent years they’ve begun to recognise that some audiences are determined to remind others via social media that a film isn’t a ‘remake’, but instead a different adaptation of the original novel/play/script etc. I’ve written about this a few times. I found the splutterings of the Coen Brothers particularly annoying when they claimed their version of True Grit (2010) was a completely different adaptation of the Charles Portis novel than the 1969 version by Henry Hathaway starring John Wayne. I suppose what worries me more is the ease with which Hollywood simply ignores previous versions of film ‘properties’, presenting its own version as something ‘new’ and ‘original’. The latest case in point is The Dinner (US 2017). I should note here that technically, this American film is not a studio film and therefore not ‘Hollywood’. It is officially an independent but has a star cast of Richard Gere, Rebecca Hall, Steve Coogan and Laura Linney as two couples (the men are brothers) meeting for a regular meal in a posh restaurant and faced with a disturbing act committed by their teenage sons. 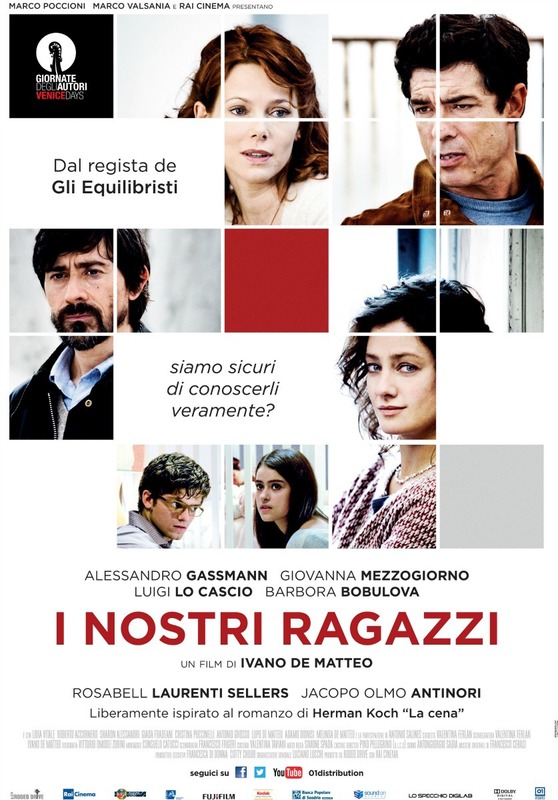 I’ve read/listened to several reviews which mention that the film is based on a 2009 Dutch novel by Herman Koch, but none of the reviewers mention that the novel has already been adapted twice, first in the Netherlands in 2013 and then in Italy in 2014 as I Nostri Ragazzi. I’ve only seen the Italian version which I thought interesting but flawed. Reviews for the American version have generally been negative. My impression is that the Press Notes will not have mentioned either of the previous film adaptations and will just present this film as an adaptation of the original novel. The truth is that in the UK we generally ignore both Dutch and Italian cinema – much as we ignore most European media output. I doubt I’ll get the chance to see the American film but I certainly think that the Italian film would have been worth releasing in the UK. I fear for the blinkered approach to anything outside the Anglosphere that we live in – and which has contributed to our pathetic attempt to withdraw from Europe. 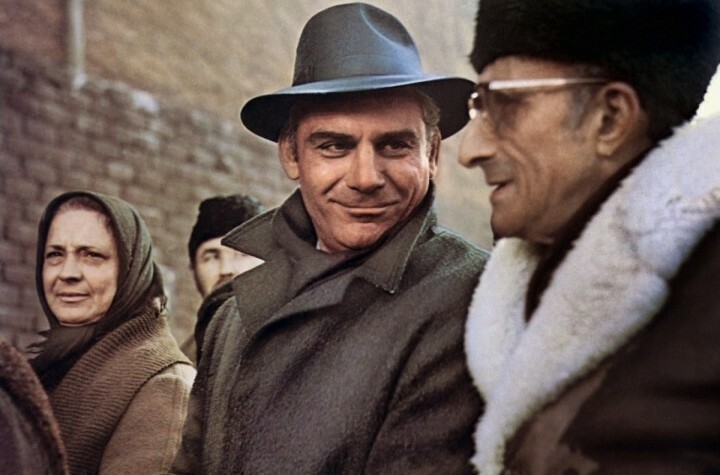 The Mattei Affair is one of the films screened at Leeds Film Festival in its ‘Retrospective’ section and also part of HOME’s States of Danger and Deceit touring season. The film deals with the mysterious death of the Italian industrialist Enrico Mattei in 1962. It begins and ends with a fatal aircrash in the fields as his private jet was approaching Milan’s Linate airport. The central narrative takes us back to the late 1940s. Mattei, a former member of the Fascist Party who had transformed himself into a well-respected Christian Democrat and accepted into the Partisans before the war ended, was given the task of winding up the Fascist state’s energy company AGIP. Instead Mattei re-launched the company under the nam ‘ENI’ and set out to make it a major international oil company, starting just with unexploited methane reserves in the Po valley. His aim from the outset was to exclude private companies from Italy’s energy market and eventually to do the same internationally by negotiating with what became known as ‘Third World producers’ in the Middle East. This immediately made him a challenger to the Anglo-American oil companies. 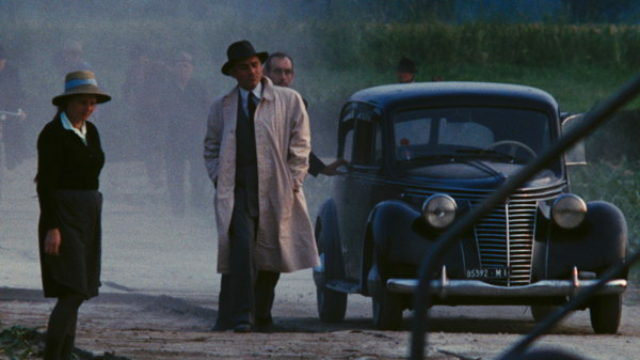 The film was co-written and directed by Francesco Rosi with script collaboration from Tonino Guerra. Rosi is one of the major directors interested in political intrigues in Italy in the 1970s. A second of his films, Illustrious Corpses (1977) about the mysterious murder of leading judges, is also included in the HOME season. 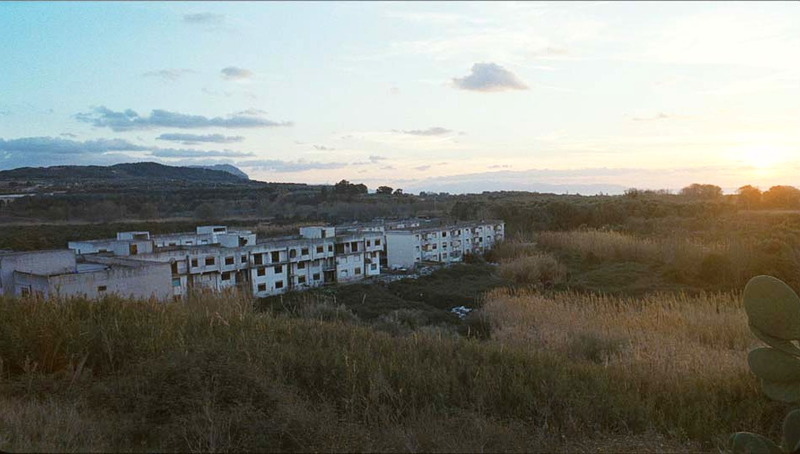 In The Mattei Affair, Rosi constructs a narrative that at first looks as if it will be some kind of investigative reportage in the form of a documentary reconstruction. But the narrative is non-linear and it deals with events after the crash as well as before. The whole idea of a documentary approach is also undermined by another terrific performance by Gian Maria Volontè as Mattei – which is in turn presented dramatically via the camerawork of Pasqualino De Santis. The documentary idea is also challenged by the appearance of Rosi himself in the film, looking for evidence and acting like an early warning of the kind of ‘performative’ documentaries typified by Nick Broomfield’s work from the mid 1980s onwards. The film operates on many levels. 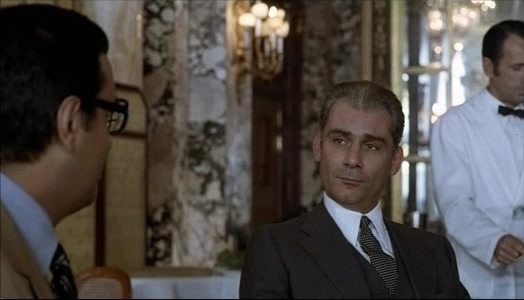 Volontè plays Mattei as a larger than life character, at times moving from self-deprecation to energetic oligarch and on to almost messianic leader in the trip to Sicily just before the crash. He makes a flamboyant tour of his company’s activities in Tunisia and Iran to display the multinational success of his business. Rosi enhances this by having a journalist tag along, possibly borrowing the idea from Citizen Kane. At other times we see Mattei negotiating and telling the stories which he uses to explain his motivation. He’s there in Moscow, queuing up to see Lenin’s tomb and at the same time working out how to buy cheap Russian oil – one of his ploys to frustrate the Americans. There is another fascinating scene in Monte Carlo where Mattei attempts to do a deal with one of the ‘Seven Sisters’, the US oil majors. The Americans don’t seem impressed and one theory is that the CIA might have been involved in the crash. Another blames the OAS in France, outraged by Mattei’s support for the Algerians. The scenes in Sicily suggest that Mattei could become too popular there and the Mafia might be involved in the crash. Rosi complicates the mystery further via the story of a journalist who was investigating the crash when he disappeared without trace. It isn’t clear to me what Rosi thought of Mattei’s politics. Perhaps he saw Mattei as a form of populist. In the film we see Mattei being quizzed about his membership of the Fascist Party and then the Christian Democrats. Mattei replies that what he does, he does for Italy and Rosi emphasises the reaction he gets in Sicily when he promises jobs not just for the locals, but for their relatives who have had to travel far and wide to find work. Rosi himself is clearly concerned about the people of the South and their poverty compared with the wealth of the North. Mattei responds to charges that he works with ex-Fascists and authoritarian leaders by saying “I use them like a taxi. I get in, pay the fare and they take me where I want to go, then I get out of the taxi”. Fondazione Cineteca di Bologna. I was very impressed by the film and its potential links to other films in the HOME season and I’ll try at some point to write about Illustrious Corpses. 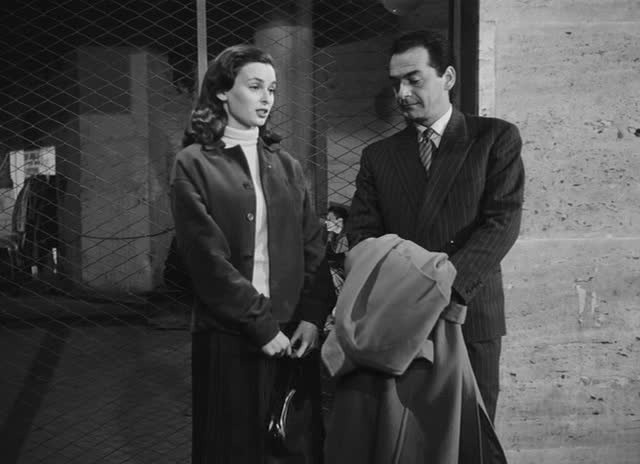 The one absence in the film seemed to be anything about Mattei’s domestic life. We see his wife brought to the crash site, but I think that is her only appearance. The absence of the wife does tempt us to ask, did this man do anything else besides work at growing his company? Did he have no vices? He does clearly enjoy being the boss and talking about his exploits, but if what he achieves is good for Italians (and the oil producers of the ‘Middle East’) that’s OK, isn’t it? Well, possibly not, since we have little evidence of the impact of oil wealth and how it was distributed. That’s another story, but at least Rosi got us thinking about what was a genuine debate about how Europeans might resist American economic hegemony in the 1960s. The film wasn’t released in the UK until the summer of 1975 when it appeared at the same time as the director’s ‘political gangster film’ Lucky Luciano (US/France/Italy 1973). My notes tell me I saw both films in 1975 but I have no memory – most disturbing. The Mattei Affair was reviewed in Sight and Sound Summer 1975 by Philip Strick. It’s an interesting review in which Strick sees Rosi as one of the surviving practitioners of ‘pure’ neo-realism. He praise the film’s production but sees it failing as a factual account. That made me reflect on my own take. I think I accept that it is Rosi’s fictionalised account of real events but that it definitely exposes something about Italy and the international oil business in the 1950s and 1960s which I find interesting and useful. Equilibrium is a low-key social melodrama filmed in a style that suggests a Loachian realism, but also a more expressive use of tracking cameras alongside long shots and the midshots of social melodrama. It’s a modest film about an important issue, but for me its modesty gives it great power. 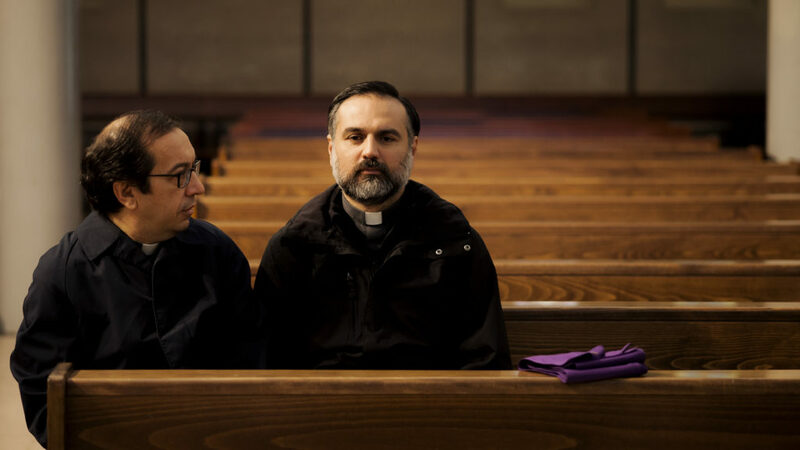 Written and directed by Vincenzo Marra, Equilibrium is a questionable concept or ideal when it refers to the role of a parish priest in a difficult area. At the start of the film we meet Fr. Giuseppe who has returned from a mission in Africa and is now working in a hostel for migrants (asylum seekers?) in Rome. He’s a rather solemn man, still with youth and vigour, who is clearly capable but he is also disturbed by his feelings towards a young female teacher/social worker helping in the hostel. Fr. Giuseppe approaches his bishop and requests a transfer. He is sent to the suburbs of Naples to replace Fr. Antonio, a parish priest who is moving on after 15 years. Fr. Antonio shows the new man the smouldering heaps of refuse that are poisoning the atmosphere locally and causing many cancers and other life-threatening diseases. This is the battle to be fought – to persuade the authorities to do something about the pollution. But Fr. Giuseppe soon learns that other battles are not being fought, especially with the local drugs business since it is controlled by a Camorra clan based close to the parish church. Fr. Giuseppe reveals himself to be emotionally open and also impetuous in attempting to find solutions to the misery experienced by certain parishioners. He seems somewhat naïve in the way he ignores warning signs and barges straight into situations. He wants to save people but is in danger of making life much more difficult for them. This isn’t to say that the status quo should be maintained or that Fr. Giuseppe shouldn’t do anything. Rather, he should think first and look at the various possible ways of acting. I should stress that this is how I read the narrative – I’m not necessarily making a moral judgement. The film’s presentation is key here. Marra, during an interesting Q&A, told us that he decided to use non-professional actors and theatre actors, mainly I think because they would do what they were asked to do and not what they thought was conventional for a film, based on their experience of previous films. Fr Giusseppe is played by Mimmo Borrelli who, if I’ve interpreted Google Translate properly, is a major figure in Neapolitan theatre. His role in this film (his only credit on IMDb) seems far removed from the flamboyance of his theatrical persona. Here he is mournful and moves slowly for the most part (except when he is determined to act). His casting, indeed the whole casting process seems to echo the Loach/Laverty approach and in the Q&A Marra told us that he thought the situation in Naples was similar to other conurbations in Europe, picking out Glasgow and saying that he had visited the locations for Loach’s Sixteen Films productions around Clydeside. During the film I had thought about Sweet Sixteen (UK 2002), made in Greenock on the Clyde and starring the then unknown Martin Compston. I’m not sure why this film came to mind because the situation and characters are quite different. I guess that both films use local non-film actors who play characters who are up against some kind of organised crime in a district with little hope for significant groups in the population. Overall, Liam in the Loach film achieves more and the narrative is slightly more optimistic. The new ‘Equilibrium’ in the Italian film doesn’t seem to offer the locals much more than the old – but there is a glimpse of hope from one character in the closing shot and perhaps that is enough? 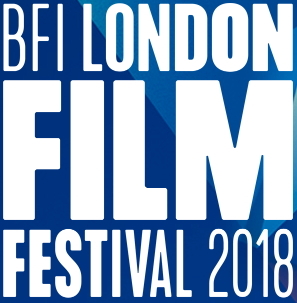 I’ve enjoyed all the Italian films I’ve seen at LFF in the last few years. Some have been flawed but all have been worthwhile, so thanks Adrian Wootton, the former Festival Director who now acts as the ‘Regional Adviser’ to the festival on Italian Cinema. Unfortunately, the one thing the films have in common is that none to my knowledge have received UK distribution. All foreign language films struggle in the current climate, but Italy is the major producer that seems to suffer most. The Wait turned up in my film rental list. I’d put it on the list because it features Lou de Laâge who was so impressive in Anne Fontaine’s Les innocentes. I’m glad I made that call because I enjoyed The Wait, which I missed completely when it snuck into UK cinemas in July 2016, seemingly without any promotion at all. This is surprising since it also offers Juliette Binoche in the début feature of Piero Messina, assistant director on Paulo Sorrentino’s The Great Beauty. Messina co-wrote and directed The Wait and composed some of the music. The setting is a villa in the mountains of central Sicily with Etna as a brooding presence in the distance. Here Anna (Juliette Binoche) is in mourning. The film opens with a highly stylised presentation of what we assume to be a funeral – taking place a few days before Easter. As far as I can make out the time period is around 2002 (a TV programme shows Pope John Paul II and there are no smart phones or social media representations). Anna gets a phone call and her ‘retainer’ Pietro collects a visitor from Catania airport. This is Jeanne (Lou de Laâge), the girlfriend of Anna’s son Giuseppe, flying in from Paris. He has invited her to the villa, but hasn’t himself arrived yet for Easter. The rest of the narrative is taken up by ‘the wait’ for Giuseppe’s return. There are several clues to what has happened but Jeanne is kept in the dark – literally at times in the villa. Eventually Anna begins to ’emerge’ and to engage with Jeanne, taking her to a lake to bathe and to a Turkish bath and a museum of antiquity. The Wait is very beautiful (Sicily is very beautiful) – but it is also very slow. 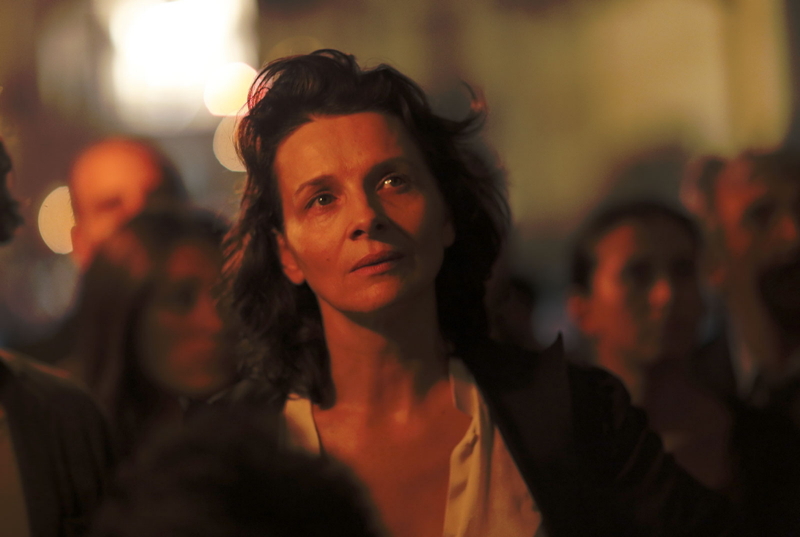 Fortunately Ms Binoche can say nothing more eloquently than most actors and Ms de Laâge has plenty of presence herself. Nothing is resolved, but when Jeanne invites a couple of young men back for dinner there is a climactic moment which will in one sense end the wait. The last section of the film moves into what appears to be a fantasy sequence, aided by the Easter celebrations in the local town. The first time I saw a Good Friday procession (in Madrid many years ago) I was deeply disturbed by the hooded men dressed like the Klu Klux clan. Here, Anna is part of a huge celebration of the stations of the cross with a covered Virgin Mary, a large figure carried through the streets, searching for her son. Anna becomes distressed and is lost in the crowd and then in a narrow alley she is approached by a group of men, many still hooded and she searches through them trying to look beyond the eye holes. I was struck by some of the similarities between scenes in this film and scenes in Rossellini’s Viaggio in Italia (1953). In that film, Ingrid Bergman and George Sanders rent a villa outside Naples with Vesuvius in the distance. They visit the ruins of Pompeii and try to rekindle their love and their marriage. All of the scenes exude tension and emotional frailty. The film ends in a religious celebration in Naples in which the couple become separated. It may be of course that these are the kinds of things tourists do in Italy and no allusion is intended. Reviewers have mentioned other Italian films and directors – Antonioni’s L’Avventura (1960) for instance and the filmic style of Visconti. 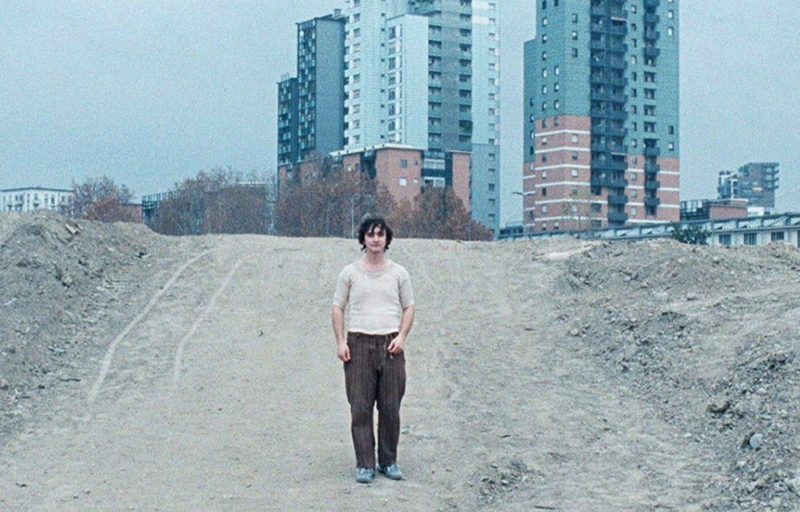 One reviewer makes the case for Piero Messina as a clearly very talented young filmmaker (b. 1981) who in this case creates a narrative in which the visual style is too strong for the story (which is inspired a ‘real’ story told to the director and then ‘informed’ by a play and a short story by Pirandello). But no doubt as he gains experience the director will make more use of his stylistic touches? I’m not sure I agree with this, but I can see it is an argument. 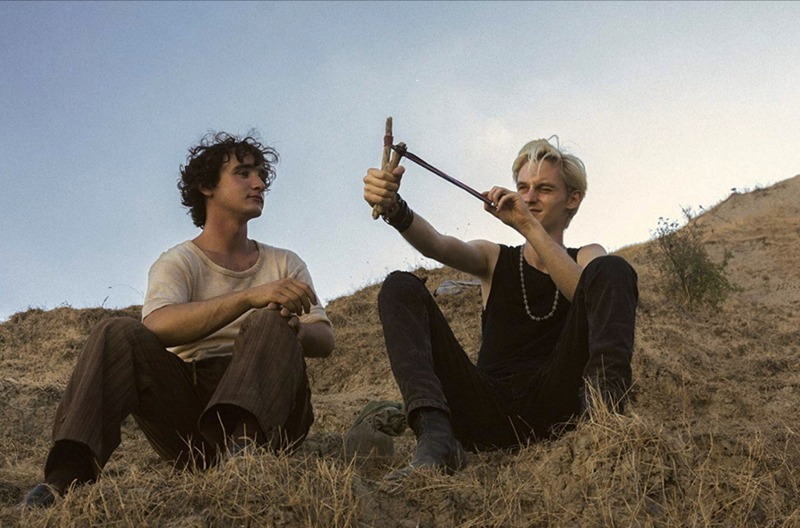 I would recommend the film on the basis of the performances of the two leads and the meticulous photography (Francesco Di Giacomo) and production design (Marco Dentici). Piero Messina takes credit for co-ordinating these elements and I think he conveys both a strong sense of place and atmosphere as well as the emotional dialogue between the two women. I should add that the film is presented in CinemaScope ratio and has an intriguing soundtrack with another excellent choice of a Leonard Cohen song for the key party sequence. And that dialogue is in French between the two leads but otherwise in Italian.